One of my friends posted a Meme on FB a week or two ago and I really liked it, so I turned it into a digital stamp. I don't know who created it and I did not see any copyright info so I am sharing this with you. I have a lot of elderly friends who have spent a life time in ministry in one form or another, but they all have one thing in common, they Serve the Lord and Pray for many, many people. 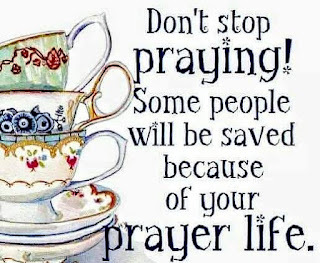 Most of the time you do not see what your praying or serving does - especially true if you are praying for someone you do not know who lives on the other side of the planet. I made this card especially for those that are now in assisted living or continuous care and I made it for myself as a reminder. Those that serve in the ministry of prayer will pass from this life to the next praying for souls, I plan on being one of those people and this is a good reminder now! I used a Martha Stewart punch for the bordes and a bow, simple. I also did a top fold as these can sit on a dresser or tray, My cards are A6 size and I used 130# canson watercolor paper for the base. Of course I know people are saved by the power and grace of the cross, but your prayers can lead them to that place and help them after, in their walk with Christ! Thank you for stopping by, please keep praying, there is someone that needs that life line you are holding! Hi Ginny...often thought of you but never saw you on any of my fb friends until Beverly Young posted a card of yours! So many years and now we finally meet again. Love your art and the cards. Will stay in touch with you for sure. Talked with Jane P the other day and hopefully we will get over to visit Gus and her. Any chance of you ever getting back to CT. LET me know if you do as I would love to see you. Hi Ginny, the card is gorgeous and yes I am a believer of prayer and pray for many. I made a promise to my grnadmother before she past away to continue to pray for our family and others as she did. thank you for sharing this with all of us as a daily reminder. God bless you and yours. Thank you for this timely reminder to keep praying - and thank you too for the beautiful graphic. Your cards are wonderful. I’m trying to catch up. Was absent in blogland so missed lots. Love this digi. Thank you so much. Love you sis. 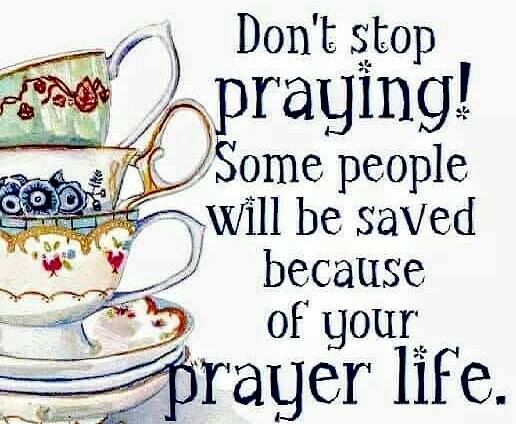 And I pray for you too.